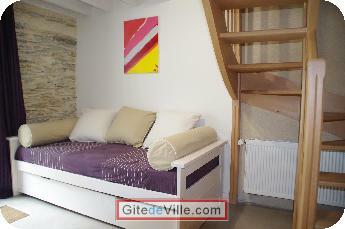 Bed and Breakfast of 27 m² in Angers for 4 peoples. Tarif pour deux personnes avec petit déjeuner, 18 euros par personne supplémentaire. Tarif dégressif 70 euros à partir de la 4 ème nuit. 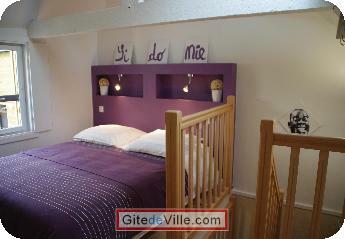 In a dependance of oour garden, with an independant entry, in center Angers, The bedroom Madeleine will welcome you with, on the ground floor a simple bed, seperate toilets and bathroom with italian shower. On the mezzanine, two simple beds. WIFI and television. Possibility to rent a second room for 4 people. 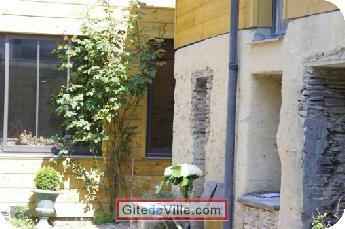 Situated in center Angers, 10 minutes walk from main tourist munuments. A lot of famous busness like bakeries, flower, chocolates, supermarket..Free parking around the house. Last Ads update : 02/08/2013.